Tuesday night, 8 days after filling the carboy. Look at the colour of this! 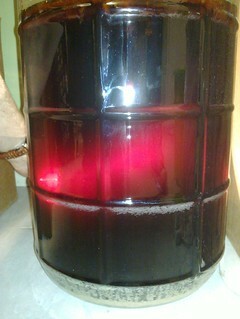 This is shot with a flashlight held behind the carboy to shine light through. A beautiful ruby red.